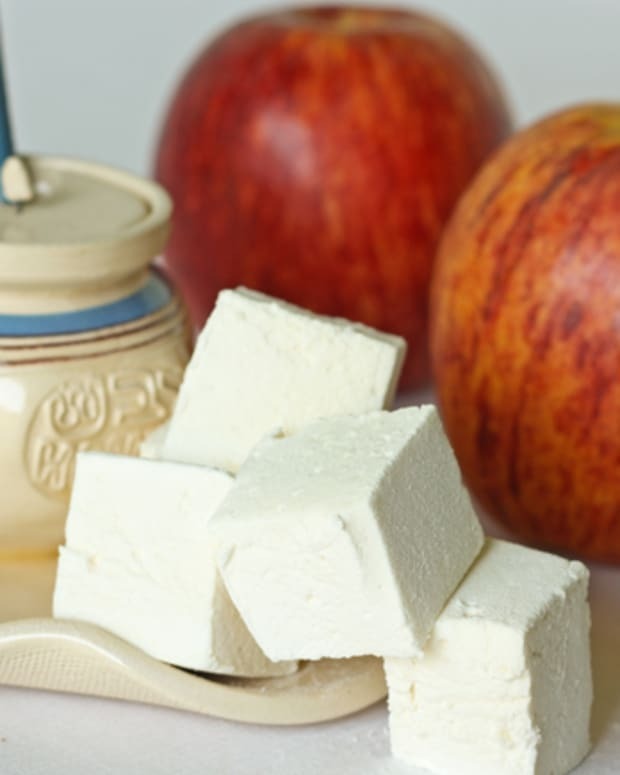 Rosh Hashanah is now less than a month away, have you started planning your menus yet? If your lucky, maybe you are eating some of your meals out. 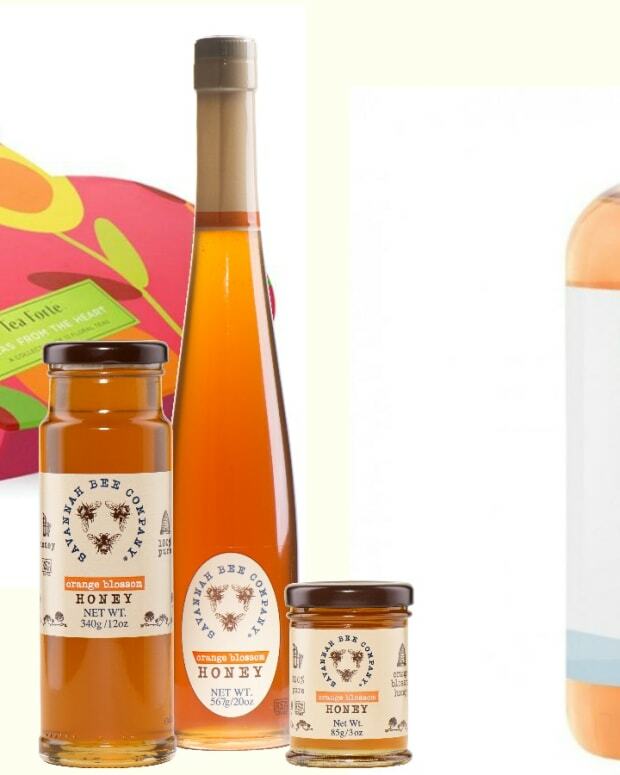 Whether as a hostess gift for someone else or a fun new addition to your High Holiday table, these honey themed finds will sweeten your year. You can never go wrong bringing honey and a honey pot. Everyone can find a use for another honey pot and Savannah Bee Company makes some very fine honey with many varieties. 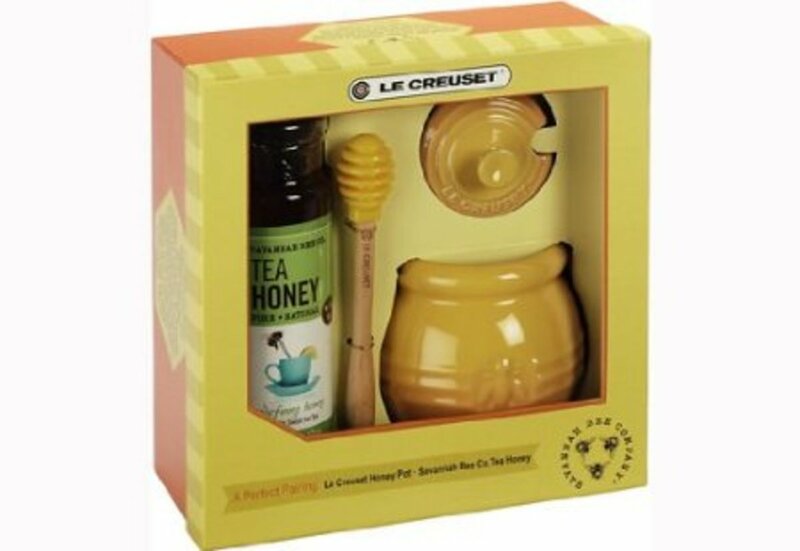 Here they teamed up with Le Crueset to offer a jar of honey with a stoneware pot that will go with any decor. 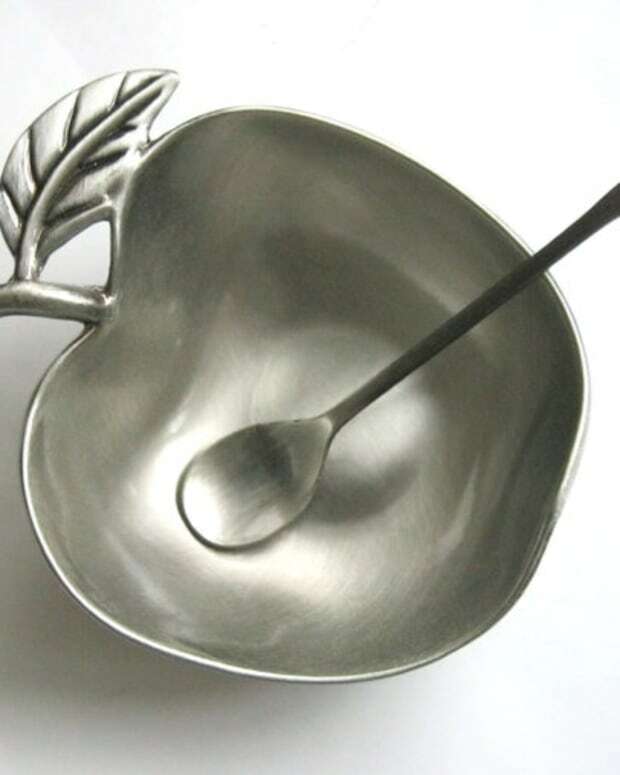 At $45 from Amazon, it makes a very nice hostess gift. Kosher certified by KSA. These were made by a Joy of Kosher community member and I had to share them in this roundup. 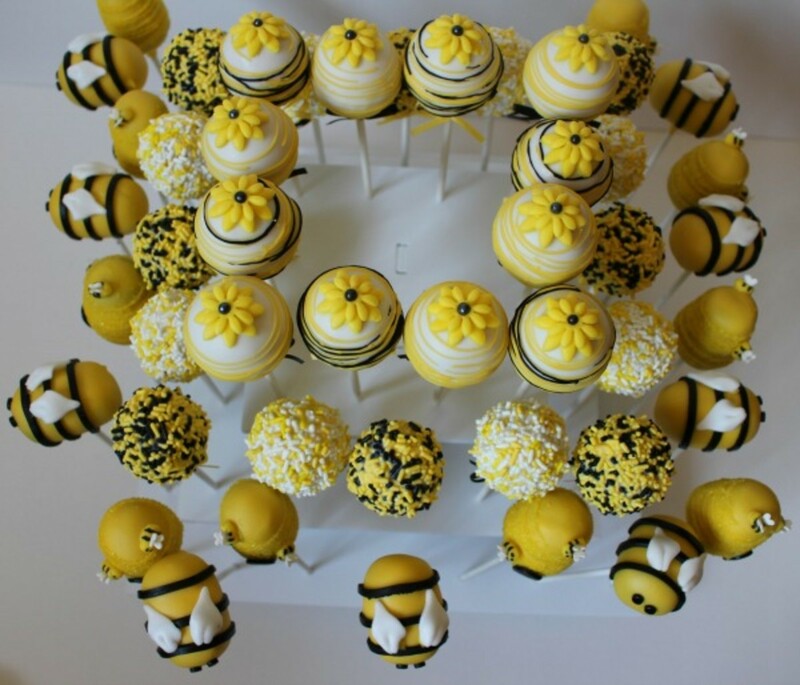 Honey Bee Cake Pops made by Sweet Kev, she makes them out of her home and does not have hashgacha yet, but they are so cute even just to look at it. If you want more info email her, Jen@sweetkev.com, 1 dozen cake pops are $36. 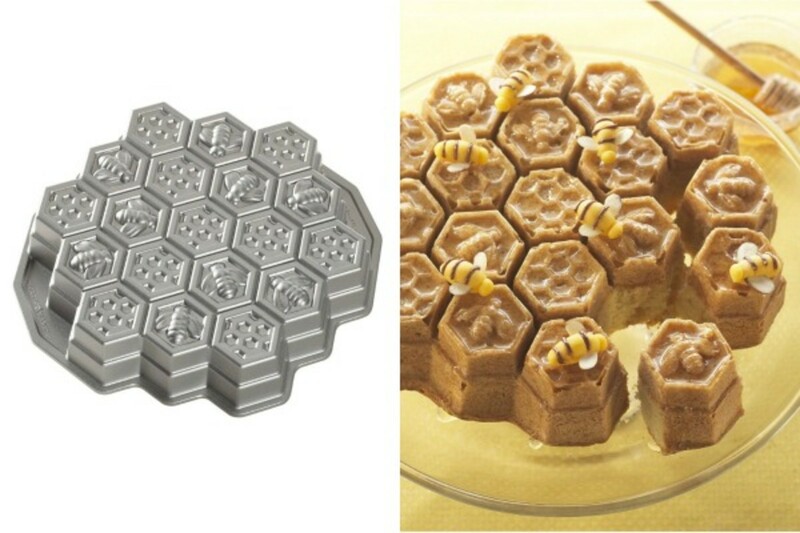 Make your own honey comb themed dessert using this cake pan by Nordic Ware. Use your favorite honey cake recipe or any cake recipe and showcase it in this pull apart dessert. For $33, you can have a lot of fun. Buy it now! You can also buy a honey comb cookie cutter for just $4 and cut out pineapple with it for yellow hives. 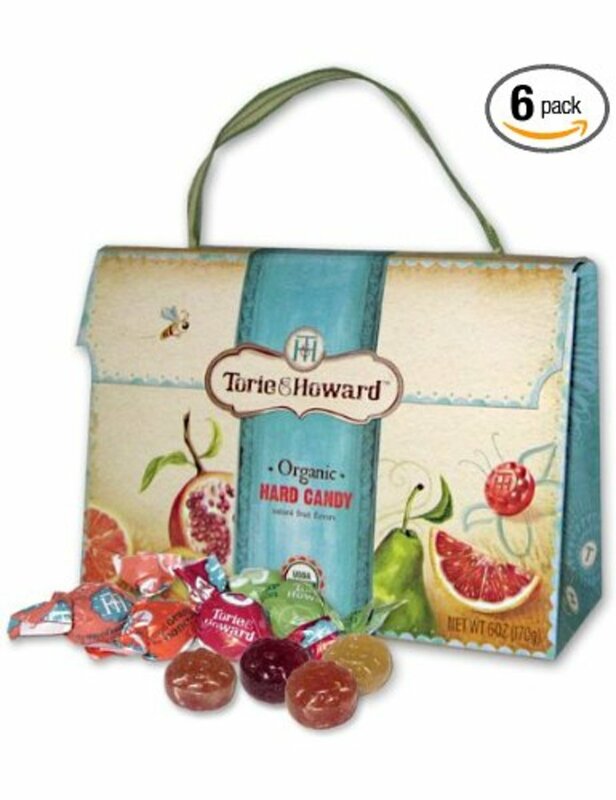 Isn&apos;t this the cutest little candy bag? 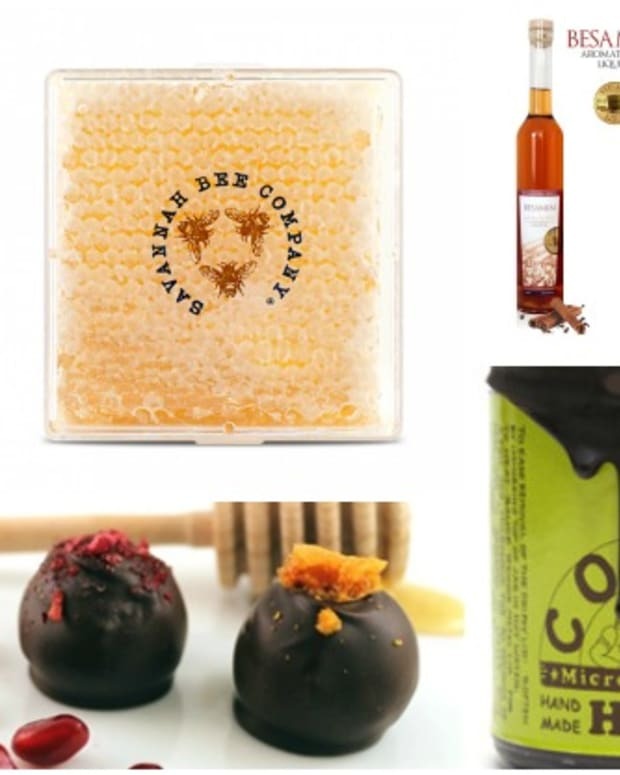 For kids or adults these candies can replace your regular shul lollilops with all natural flavors and colors and yes, there is a honey connection - with flavors like Blood Orange and Honey or Pink Grapefruit and Tupelo Honey you know you are in for a real treat. $8.33 per bag, kosher certified with Kof-K. Order in bulk on Amazon and give it to all your friends. Try this Chrysantheum Honey Liqeur for a real grown up treat you might not want to share with others. Honey and chrysanthemum flowers come together in this rich yet delicate liqueur. Mixes well with rum and whiskey, or with tea. Brought to us by Koval Distillery, a craft distillery with small batch spirits that are all OU certified. Learn more and order a few! 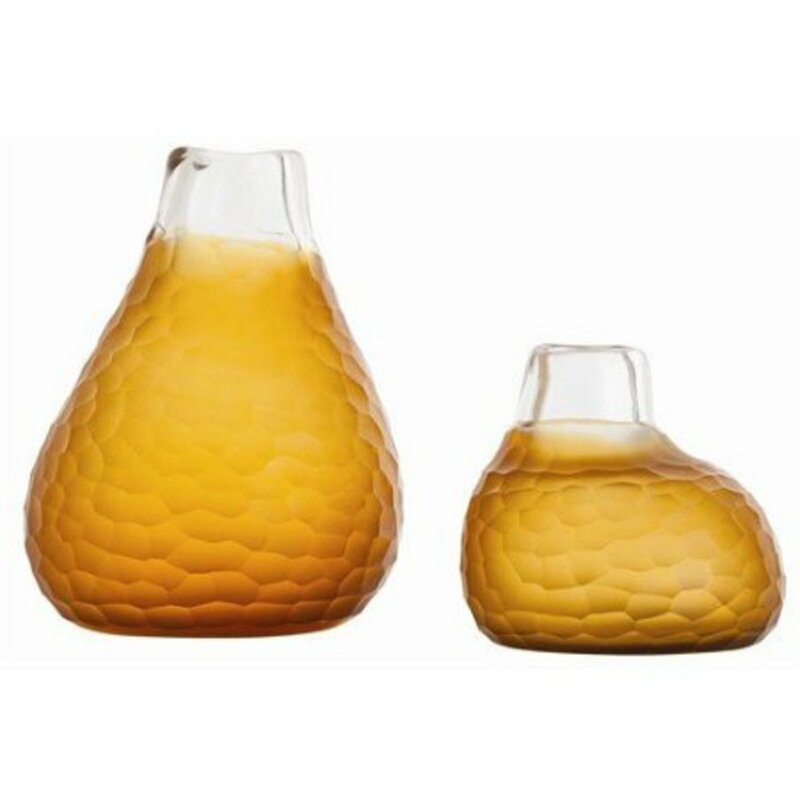 For a unique gift or table decoration that is not food, consider these Honeycomb Etched Glass vases. 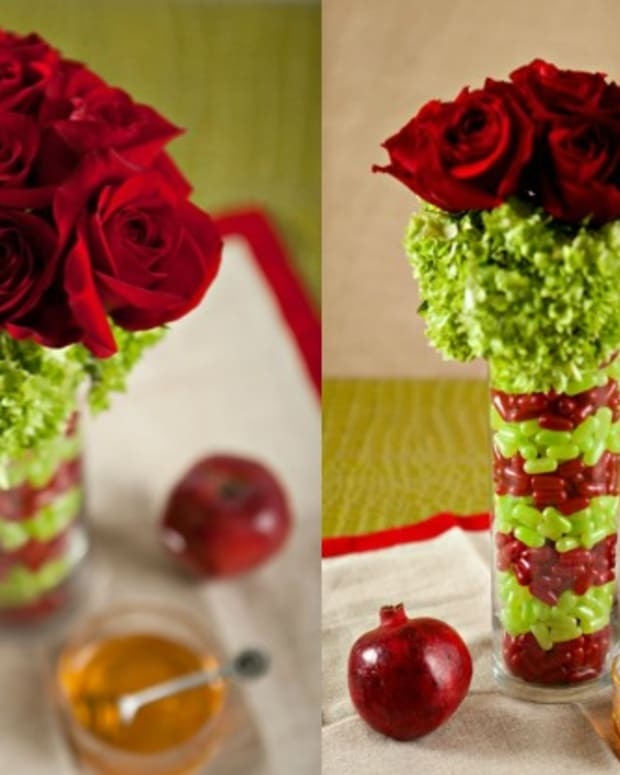 These would be the perfect centerpiece even without any flowers in them for your holiday table. They are a little pricier, but your worth it, found at amazon for $288. Looking for something new to wear the second night of Rosh Hashanah? 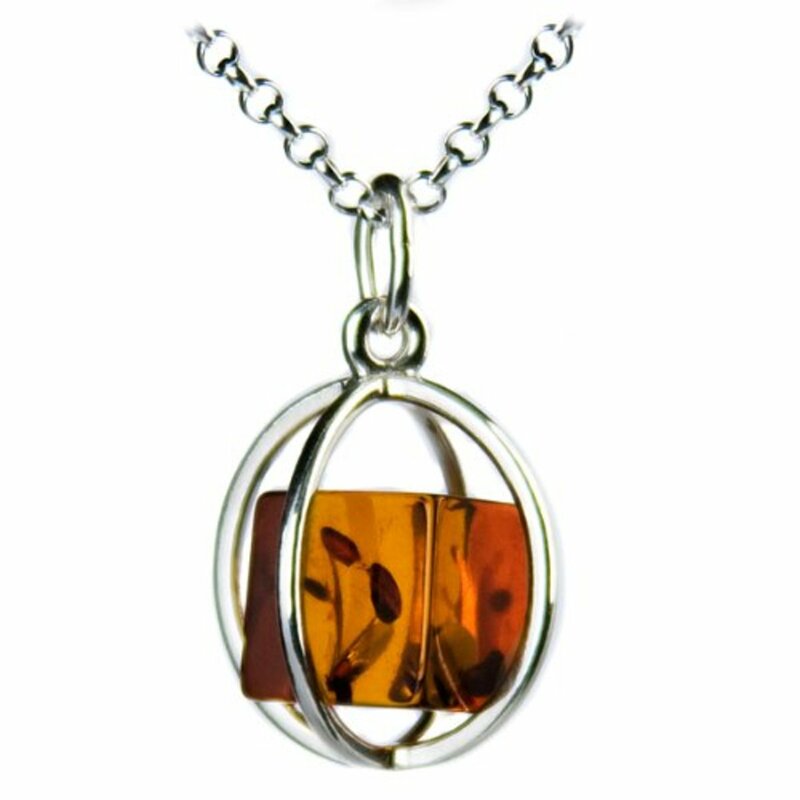 The perfect excuse to get this Pendant with Certified Genuine Honey Amber Cube. 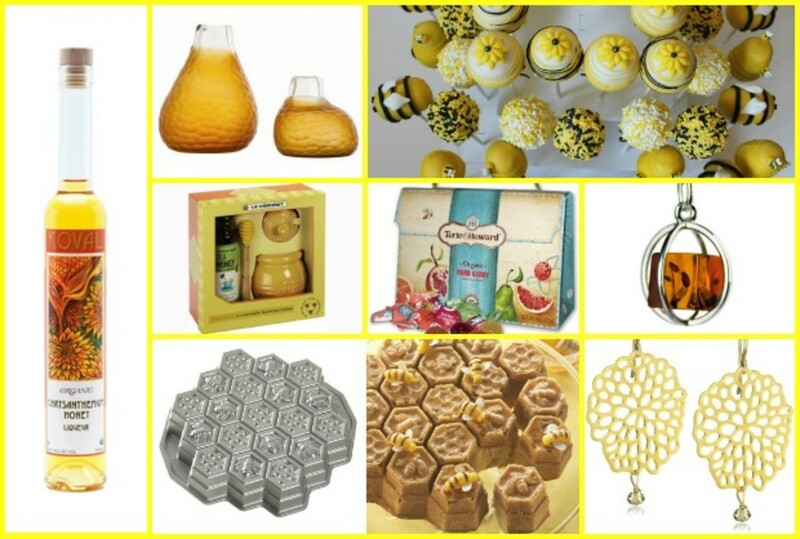 Now, your table, your plate and even you can be honey themed. Buy it for $45. 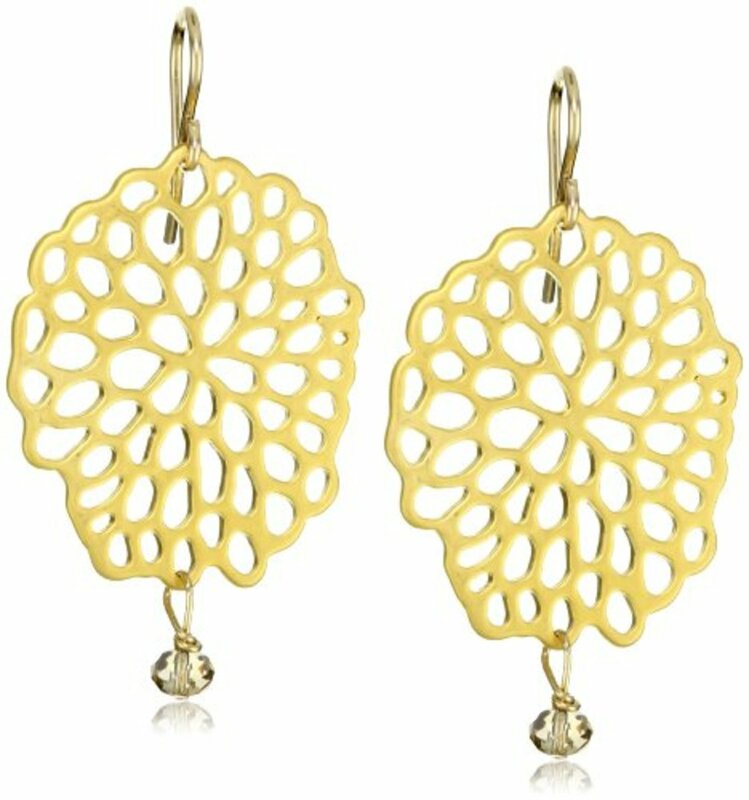 If you would rather opt for earrings in theme, try these Honeycomb Drop Earrings and celebrate the new year right. $60 at amazon. Do you have any special honey themed ideas, please share them in the comments below. 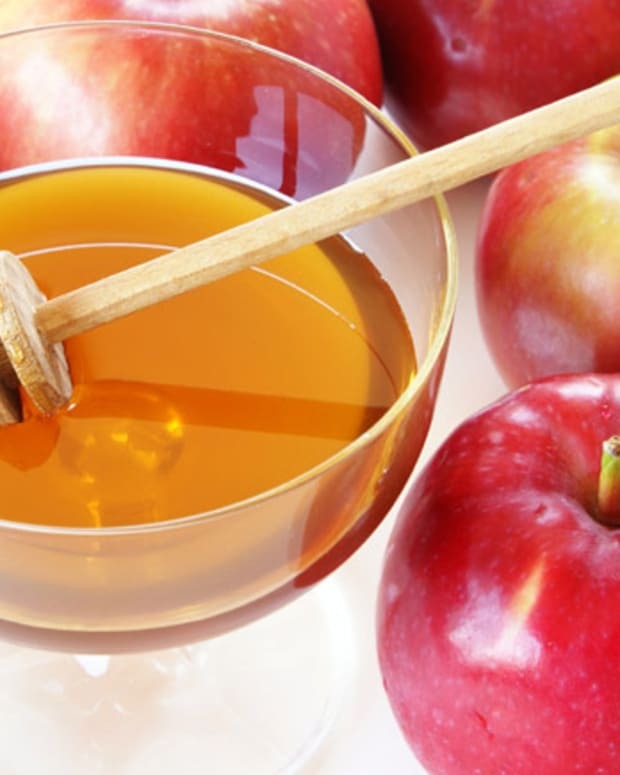 Honey and Rosh Hashanah - How Sweet It Is!